Speke has always been a large township on the banks of the Mersey. Speke village itself never grew in size like the inner suburbs of Everton and Toxteth, but the large expanses of flat land attracted industry in the 20th Century, and large housing estates and industrial complexes grew up here. However, problems associated with the rapid expansion led to trouble at the end of the century. In 1066 Speke formed part of one of Uctred’s manors, and when the Lancashire forest was formed, it became part of the forest fee. Speke occupies an area in the far south of Liverpool. 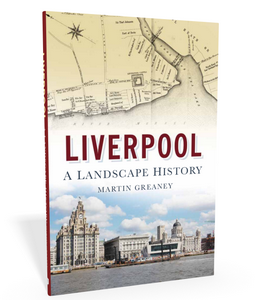 This is flat land with a long river frontage (and the widest point on the Mersey), and was known for years as some of the best wheat-growing land in the region. Unlike many parts of Liverpool, there have never been any brooks in the township. At the turn of the century, Speke was a small village with a scatter of houses, about a mile from the nearest station. Near to Speke is the hamlet of Oglet (Ogelot, Oggelot and Ogelote over the years, especially early on; Oglot and Ogloth also common; Okelot, 1321; Hogolete, 1384). In the 20th Century Speke was one of several areas of outlying Liverpool which were the focus of post-war reconstruction and expansion (among the others were Knowlsey and Skelmersdale). Kirkby, Halewood and Speke were the three largest out-of-town council estates in the country. Unfortunately, there remained a gap between, one the one hand, the houses being built and the resdents moving in, and the other the amenities (shops and leisure) becoming established. This lack of planning led to great problems in the years to follow. Industrial estates took great advantage of the flat land and growing residential areas in the 1950s and beyond. 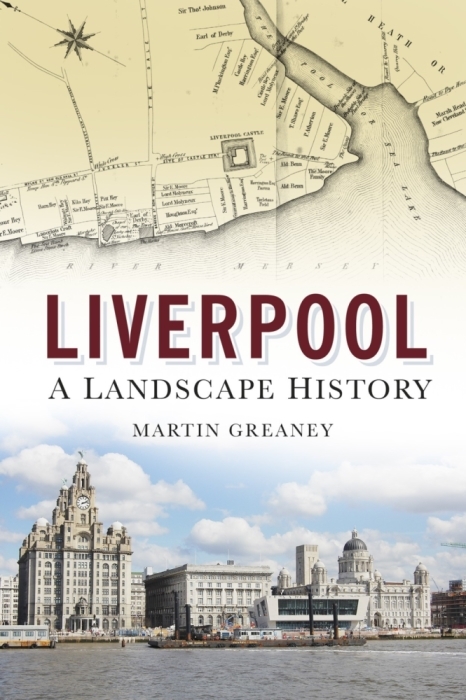 The policy for post-war industrial growth focussed on the outskirts of the city, rather than inner Liverpool which is more the focus at the start of the 21st Century. The industries comprised mostly of motor works (Ford’s famous plant), light engineering, food, chemicals and pharmaceuticals. However, most of the expansion was due to the movement of businesses from the inner city, rather than the creation of new, additional jobs in the suburbs. Unemployment therefore continued to rise, reaching about 50% in the 1970s. The road from Garston to Hale crossed Speke in two branches, meeting at the village by the road coming south from Woolton. The London and North West Railway Company’s line from Liverpool to Warrington passed through the North part of the parish, stopping at Speke station. ‘Hunt’s Cross’ was originally an actual sandstone monument, erected in 1895, but by 1901 was described in the Victoria County History as “a displaced massive square stone socket, lying in a barn, at the crossroads, near the station”. At the boundary of Speke, Halewood and Hale is an area once known as Conleach. Here, formal challenges were fought between inhabitants of the nearby villages. My partner and I where walking in the woods behind Alderfield Rd which runs along Speke Boulevard and noticed that whilst we where walking through the woods there was a water source (possible a tributary of the Ram’s Brook) which runs through this area. The thing we noticed was that the water source had been Cut out and had straight edges, and did not look natural. We also noticed that there was a lot of brick possible walls running along side the river; we were hoping you could tell us what was possible in that area before Jaguar and why would the river be cut out in that way. We both said a Mill but could not find any information locally about this. we haven’t looked through your web site which we will do once we’ve sent this email. Please also email me Historical news about Speke if possible. I lived in West Mains (Mains Rough on the map) between 1953-1962 and Rams Brook was altered to take the storm water from the Ford Factory through the woods and into the Mersey. Sadly a young boy drowned in the brook in the early 60’s about the time Fords was being built. it was a dense foggy night and the boy got lost and fell into the brook. I remember it like yesterday. I’ve not heard about that before. Very interesting information on the Rams Brook, but so sad that this story is attached to it. Thanks for sharing it with us. Hi I lived in speke Stockton wood road from birth in 1962 till 1975 ,just to comment on the drowning of the young boy .I lost my uncle who I was told drowned in speke aged 8 I was led to believe was at a pond in the grounds o speke hall his friend he was with also died they both lived in the tenements in garston my uncle’s name was Raymond Grundy . Yes, it doesn’t often get mentioned, but it’s got a long history as well as an important recent one. I’ve only got a brief history of Huyton on this site, and more work needs to be done on that page. Do you know the rough time when the watermarks might have happened? Might it have been in your grandfather’s time or before that? The River Weaver, on the opposite bank of the Mersey, has a lot of history of flooding in the late 19th century, so floods may have happened north of the river at the same time. I’m assuming you’re looking at the Speke area, so let me know if you were thinking of somewhere else. My guess would be late 1920’s early 1930’s. Before my grandfather left he was living in Balfour Rd Bootle and had relatives in Kearney Place Wallasey. Coming from Essex I am not familiar with geography of the various parts of Liverpool. Nor do I know which relative he visited. I was hoping that you could tell me were the flood was then I could find which relative lived there. Mt grandfather was one of 9 and he went on to have 8 children. His wife’s father was the captain of the ferry steamer in 1871 .
my wife has a brass plate that came from her great grandads cottage we think.It reads Rathbride cottage Speke it has his name at the bottom of the plate.Ernest Connell.do you have any information of this property.We believe he would of lived here between 1880 and 1905 . I can’t find anything on the maps marked as Rathbride Cottage in Speke, but I’m always finding new sources so if I spot anything I’ll come back to you. Hi. Does anyone who uses this site have any information to offer on Hale Road Farm in Speke? I would interested in any personal stories or local history. I live in speke only 24. I have seen many different maps and pictures of speke in my time living here since 5 yrs old. I was waling around and thought a number of things. What are thos triangle things on ogglet shore. Where are the air raid bunkers other than speke hall and what mill was placed hre? I lived in a home on Damwood Road. My pals and I used to go down Dungeon Lane to the Mersey shore – Ogglet Shore. It used to be a massive dumping ground for the debris from the bombing. The concrete triangle things, as you described, if they are still there amazes me, were tank traps. The shore line was lined with them to hinder the Germans invading England. Although it was a massive tip we had many fun days exploring and playing among the traps and bricks. There was also a farm above ‘Oggie Shore’ that grew bulbs and many unwanted ones were tipped over the edge, of the higher ridge, onto the shore – just added more debris! How many daffodil and tulip bulbs I salvaged I can’t even contemplate!